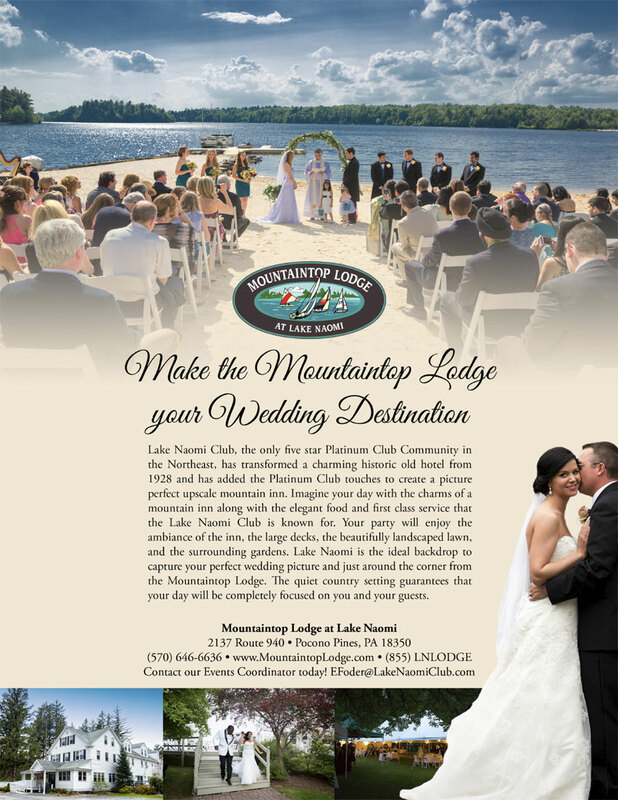 The Wedding Planner Magazine | Mountaintop Lodge at Lake Naomi - Your Destination Wedding! We allow you to use your own vendors for everything except Food and Beverage. We allow alcohol. Open flames are permitted outside, if contained in a candle holder or fire pit. We offer buffet and action station type receptions. We have only one wedding per day. If you rent all of the rooms at the Mountaintop Lodge then you have access to the front sitting room and back yard all evening. 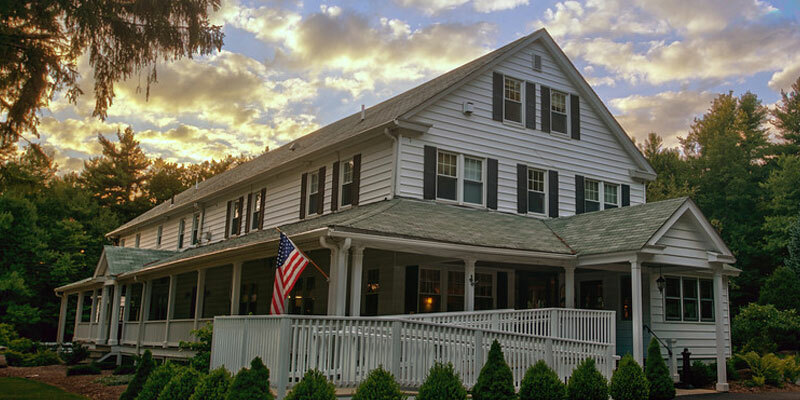 If not, we ask that any guests not staying with us leave by 10:00 PM for the comfort of our remaining guests. Our basic reception packages last for five hours. Yes. Table clothes and napkins are included in the site rental fee. Our Event Coordinator and staff will handle this before and after the wedding. Management will need to approve decorations prior to event. 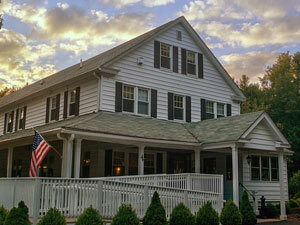 Yes we offer a discount on the rooms based on the number of rooms booked. 1 staff to 20 guests. We require a $500.00 deposit to secure your date. $500 deposit to hold the date, second deposit after dinner tasting, remaining balance day of the event. Yes there is a service charge and PA State Taxes. One week prior to the date. Can change date if date is available. Three months no additional fees.